Slice lime into thin slices. 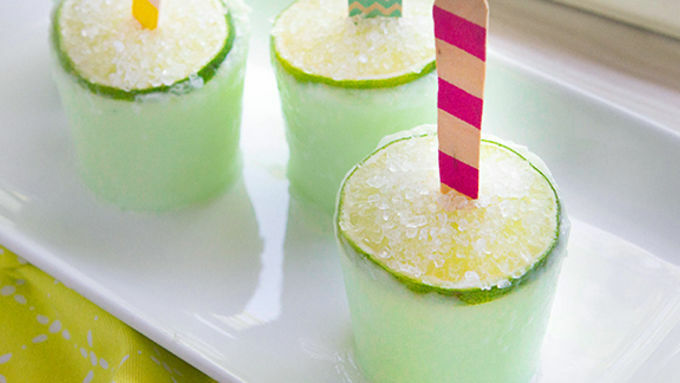 Use a sharp knife to make a small slit in the center of each lime. Press a small wooden ice cream spoon (or wooden popsicle stick) halfway through the center of the lime. 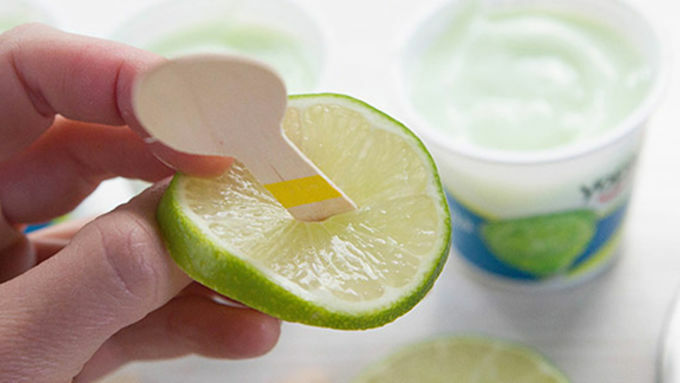 Place lime with stick on top of each yogurt pack. Sprinkle limes with kosher salt. Freeze for 3 hours (or overnight). To un-mold, gently pull stick and pop out of carton. Enjoy immediately! 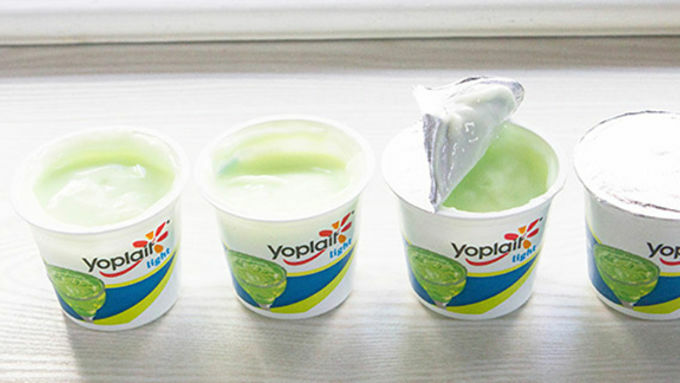 *Lime Yoplait® yogurt can be substituted for the margarita flavor – or use any favorite yogurt flavor. 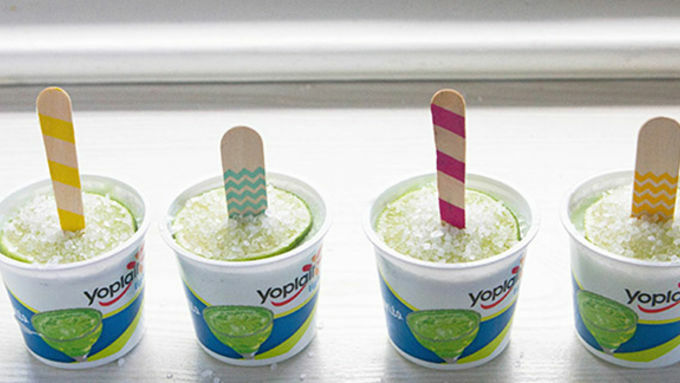 Made with margarita-flavored yogurt, these smooth pops invite your mouth into summertime. Welcome to the shortest blog post ever. For the quickest recipe ever. Which also happens to be the cutest idea ever. Which also happens to need just three itty bitty ingredients. 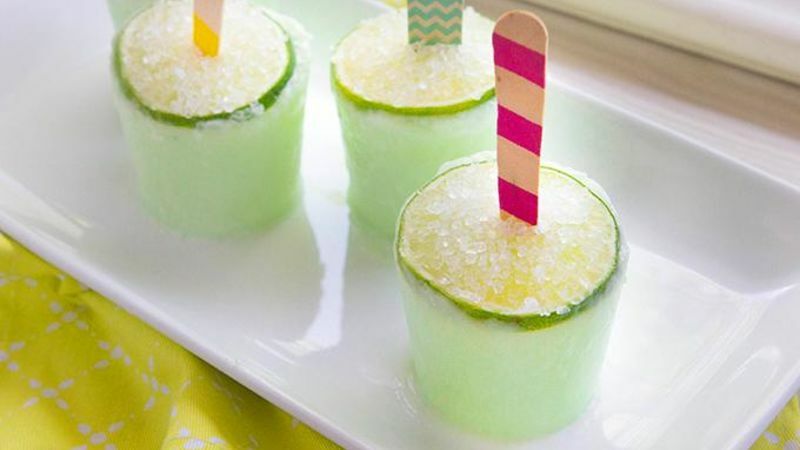 Open yogurt, insert lime on a stick, sprinkle with salt, and freeze until firm. Then get lickin'!